Sarosky Heating & Air Conditioning Inc is proud to serve the Allentown community! Please call us today at 610-759-1919 to consult with our home comfort specialist. 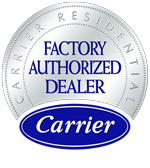 About Allentown, PA - Happy to be your hometown Heating & Air Conditioning Contractor! Allentown, Pennsylvania was originally founded by a family by the name of Allen. Originally Northampton Town, in 1838 the town was officially renamed after nearly 80 years and in 1867 Allentown had grown to the point where it was able to incorporate as a city. Today it has a population of nearly 120,000, making it the third largest city in Pennsylvania. Allentown is a city proud of its past, not least in the role it played in hiding the Liberty Bell during the Revolutionary War when Philadelphia was under attack from British troops. Today Allentown is better known as the subject of a hit single by Billy Joel, which portrays the city as a dying steel town. The song dates from 1982, and Allentown has done a great deal since that time to revamp and diversify its economy. The Allentown Economic Development Corporation sponsors a program called Bridgeworks which attracts new and developing businesses. Health care is also a growing field in Allentown, and the Lehigh Valley Health Network is the region’s largest employer. Allentown offers a typical four-season climate. 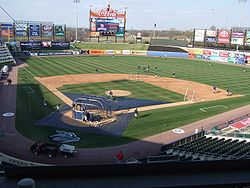 In spring and summer, baseball fans enjoy watching the Lehigh Valley Iron Pigs, the AAA minor league affiliate of the Philadelphia Phillies. Spring also brings the annual Mayfair Festival of the Arts, while summer closes out with the Great Allentown Fair held in September. In wintertime, when temperatures average around 27 degrees in January, indoor recreation is more popular. Local attractions include the Allentown Symphony Orchestra and the Allentown Art Museum.